The last few days have been full of sipping hot chocolate, eating cookies and singing (I really should leave it up to Mariah, but who can resist “All I Want for Christmas”). I hope you all have a fabulous Christmas celebrating with friends and family, and that Santa brings you everything you wanted. 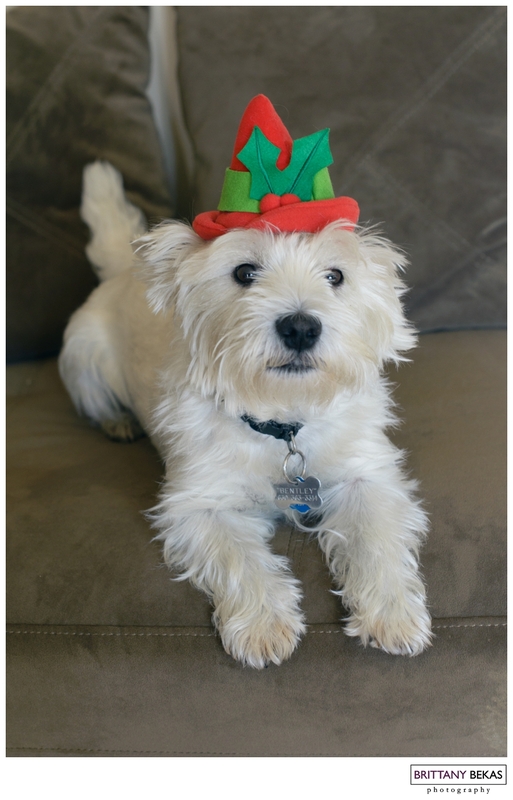 In honor of Christmas, I made Bentley dress us as my little elf. I think he is in for next year.